Computer Repairs Ipswich – established 2001. Are you in need of computer repair help? Look no further than Pc Repairs Ipswich. 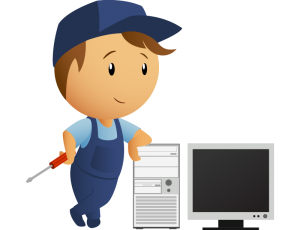 Pc Repairs Ipswich is a computer repair services provider company in Ipswich. We are serving for all kind of hardware and software problem. We offer Computer Repairs and other IT Services and we come straight to your door. Big or small, our professional and qualified computer geeks can solve all your computer related problems in no time. We are the most reliable On-Site Computer Repair Services provider in Ipswich. Our range of services includes, laptop screen repairing services, networking services, data recovery, laptop and desktop screen repairs, virus removal services and other on-site computers repair services in Ipswich. We provide a fast, affordable, professional computer repairs service and upgrades to all brands and models of computers. We fix all sorts of Microsoft windows XP, Vista, 7 , 8, 8.1 and 10 including Mac OS issues and make your system as fast as it was designed to perform. Computer Hardware Support, Upgrades and Solutions. We have been helping clients in Ipswich for the past 18 years with many different kinds of technical issues. Our computer geeks provide computer support to Ipswich residents for both home computer users and businesses alike. We have the expertise to handle all of your computer needs. We can help improve your computer system productivity and while keeping operations running smoothly. Get Your Computers Fixed – Hire Us Today.